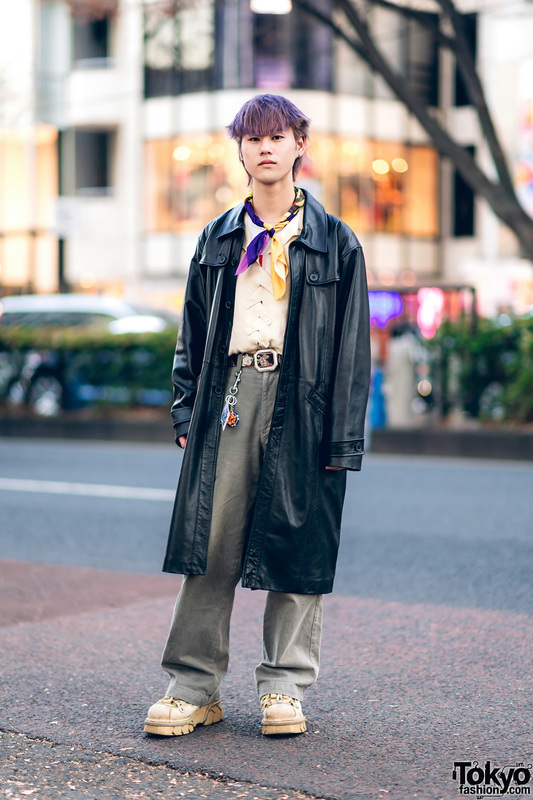 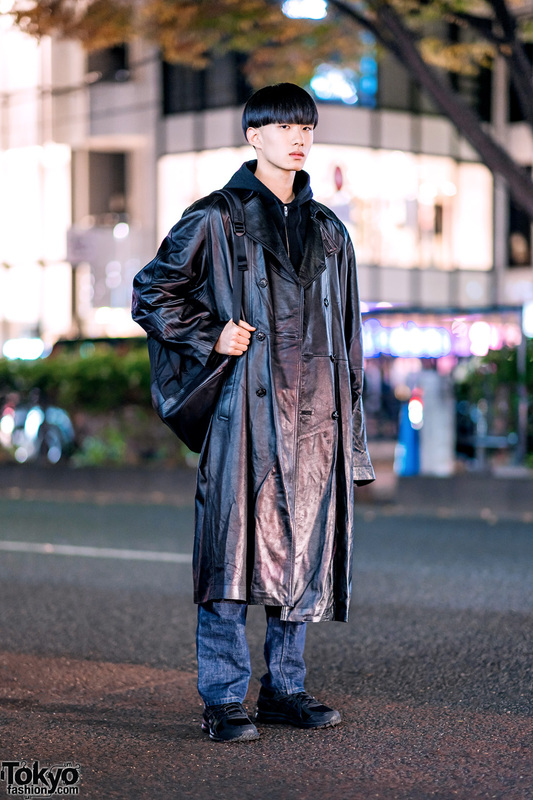 Purple-haired Harajuku guy clad in a resale trench coat, a braided button down shirt, grey denim pants and suede lace-up shoes in Harajuku. 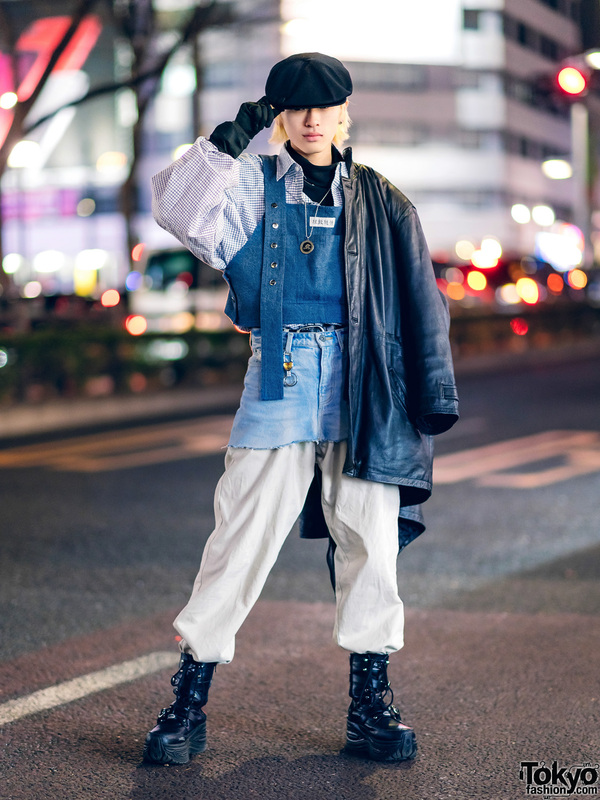 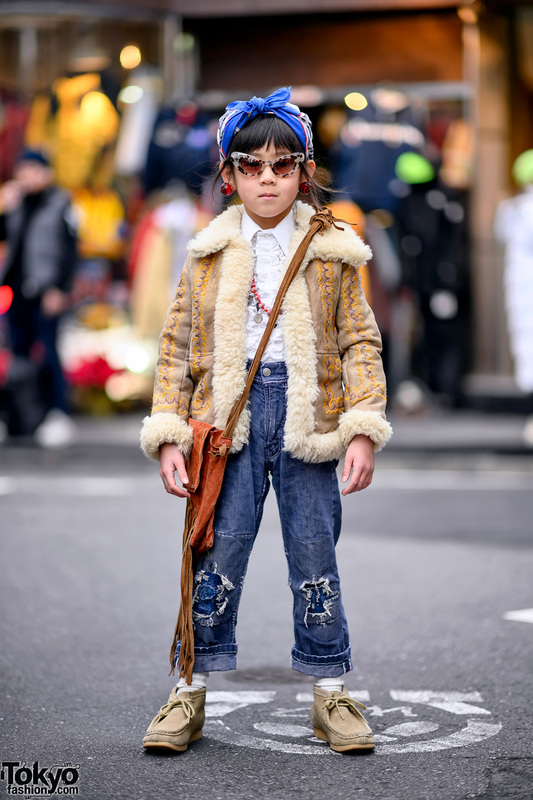 Vintage kids street style in Harajuku with a 1970s embroidered leather coat, 1950s jeans, Clarks boots, a ruffle shirt, head scarf, and pointy glasses. 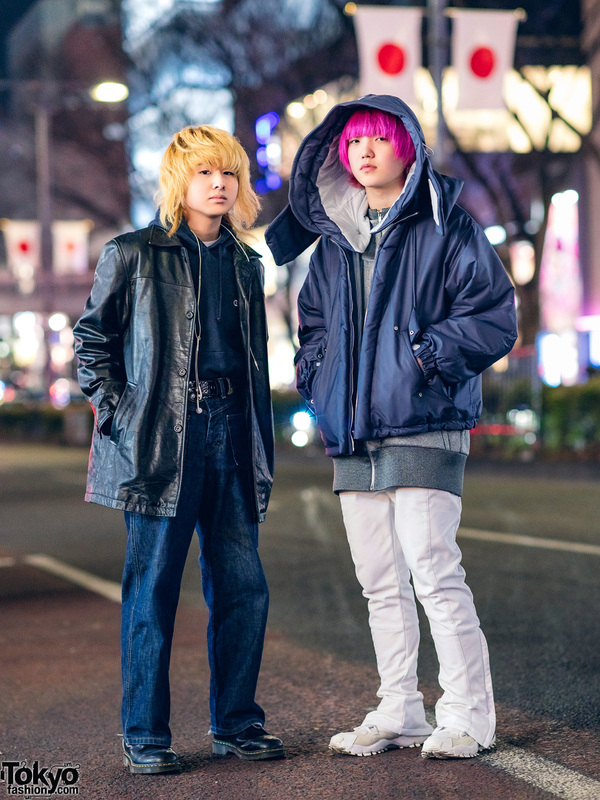 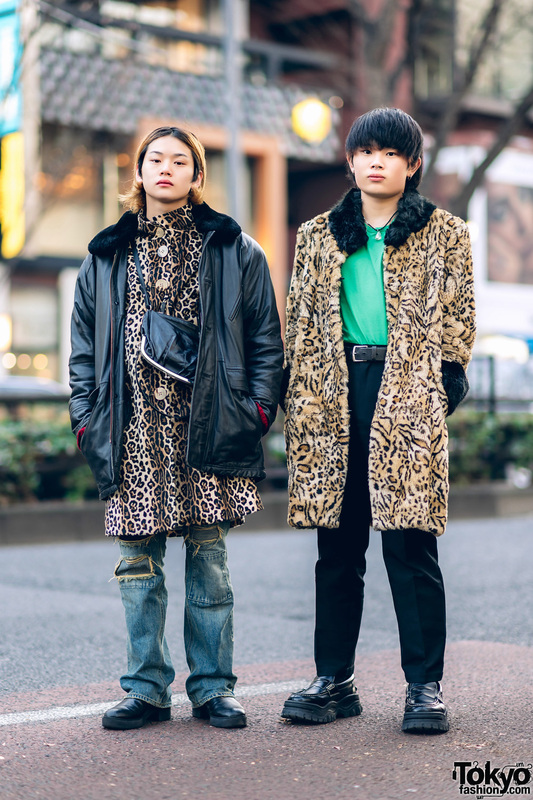 Japanese duo in minimalist fashion by Comme Des Garcons, Yohji Yamamoto, and other Japanese and international brands.